The UK AD and World Biogas Expo 2018 takes place on July 11 and 12 at the NEC, Birmingham, and will have more than 250 exhibitors from over 50 countries in attendance. This year global manufacturer and supplier of portable and fixed gas analysers, Geotech, will be exhibiting at the show, and will be found at stand E506. Geotech, a QED Environmental Systems company, will be showcasing its products on the stand, including the newly released market-leading BIOMETHANE 3000. 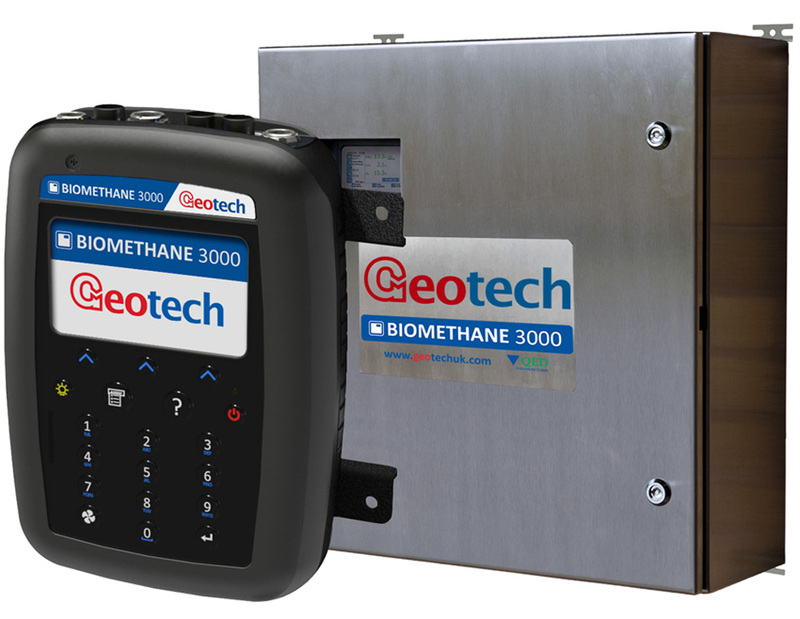 Launched earlier this year the BIOMETHANE 3000 has set a new standard in biomethane gas analysis, delivering real time monitoring, offering users remote access and capturing historic data to enable trend forecasting. Visitors to the stand will be able to see how all the various products work, and to get a truer insight into the abilities of each analyser there will be an interactive screen on stand offering a ‘live’ data feed. There will also be an alarm system with flashing lights replicating changes in the gas under analysis. Visitors to the show will also be able to enjoy talks on a variety of topics, including climate change and carbon budget, the Renewable Heat Incentive and the impact of Brexit on AD. The BIOMETHANE 3000 fixed system analyser has been shortlisted for the critically acclaimed AD & Biogas Industry Awards 2018. The winner of this coveted award is set to be announced at an awards ceremony at the UK AD and World Biogas Expo 2018.